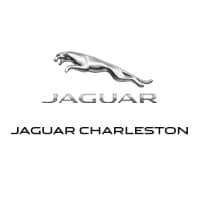 Finding and financing your next vehicle can be a stressful process, but it doesn’t have to be at Jaguar Charleston. Thanks to the rotating Jaguar specials at our dealership, you can find an F-PACE or XE for a price that won’t over-stretch your budget. If you have any questions about our exclusive offers or any model in our new vehicle inventory, contact us at your earliest convenience. All prices include allowance credit from JLR Financial Services. Prices are valid for cash purchases or financing through institutions other than JLR Financial Services. New vehicle pricing includes all offers and incentives. Tax, Title and Tags not included in vehicle prices shown and must be paid by the purchaser. While great effort is made to ensure the accuracy of the information on this site, errors do occur so please verify information with a customer service rep. This is easily done by calling us at 304-746-0500 or by visiting us at the dealership. After you’ve taken a look at our new vehicle specials online, visit us in Charleston for a test drive. Our team is standing by, ready to walk you through the car-buying process and help you find the new Jaguar that’s perfect for you. You can even apply for financing or determine your monthly payments ahead of time with our handy online tools.